Being versatile and inquisitive, I am fascinated in almost every area within computer science and computer information systems. Seventeen years ago, I had a strong passion for bilingual word processors which motivated me to write an original application (called Nalinam) from scratch using object-oriented methodology. Incidentally, it became the first bilingual Tamil word processor with a native language graphical user interface in the world. It took two years of extensive research and required more than 50 000 lines of original C++ code for fruition. To date, there are almost half a million downloads from over 50 countries. The first version of the program was obviously complex to develop since the hardware and software at the time was designed to facilitate the English and European languages. Thus, ingenious techniques were designed to work around this limitation by directly interfacing with the hardware. First, the extended ASCII character in the VGA RAM was replaced with Tamil character sets and then printer and keyboard drivers were written. 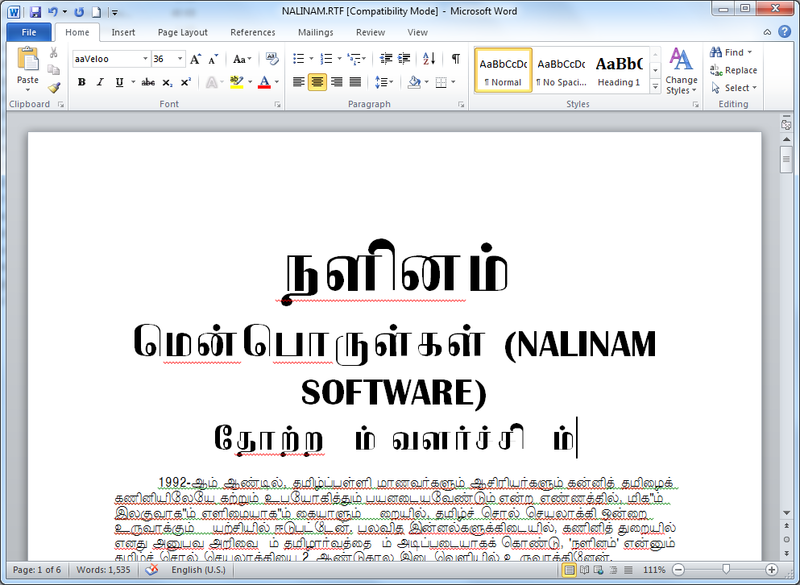 A complex user interface was created and a font utility for display and printing of Tamil language text was also included to make the program robust and complete. A tutorial and word game was also added. Later, I ported the code to Windows and though it was merely 10 000 lines of code, it took me quite a while to get accustomed to the new operating environment and forced me to change the way I think about programming. Now, many of the functions, I developed in the DOS environment have become obsolete. This time I only had to create the fonts and an editor. It was so much simpler and easier than before because the operating systems took over many tasks previously handled by my application. Subsequently, I made another major change to the program by hooking up with all Windows application enabling Tamil language to be used in all windows based program. This time, I didn’t even need an editor. By using the windows API and manipulating the message queue before any events generated by the keyboard reaches an application I was able to put the Tamil language in any application the user chose to work. Meanwhile, Microsoft released their own version of a somewhat similar technology in many languages and built it right into their operating systems since Windows 2000 onwards but the Tamil version still lacked the simplicity found in the system I had invented. In the coming years, I expect my innovation to face a similar fate like what happened to WordStar, Lotus 123, Dbase and many other products. With the growing numbers of Tamil users and also due to growing use in schools in India, Sri Lanka, Malaysia, Singapore, Germany and Australia and by the Government of India in its daily administration, I believe, by now, Microsoft would have realized the economic viability and demand for such a feature, and I will not be surprised to see them reallocating their resources to produce a very similar technology to mine in the next few years. The primary objective of my original effort was not only to ensure the survival of the Tamil language in the contemporary world but also to provide a medium to propagate scientific knowledge among 70 million native Tamil speakers. 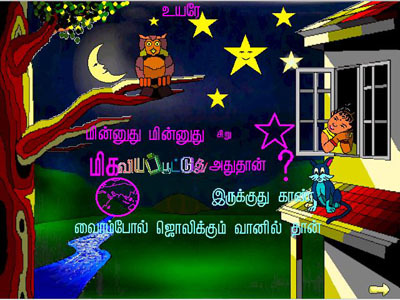 In the late nineties, I provided my Tamil computing expertise to Articulate Multimedia, a top Malaysian multimedia company to produce the first Tamil edutainment software for kids (Story Time with Arti) in the world which subsequently won the Best Multimedia Title of the Year 1998. In the next three years, nine more exciting titles ranging from computer skills to Math, presented in fun and entertaining ways were produced and was adopted into primary curriculum in many schools in Malaysia and Singapore. 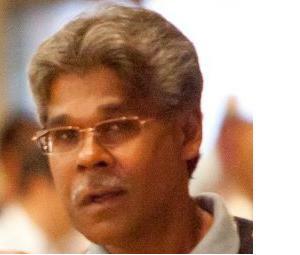 Though it was a slow progress at the beginning stages but with latest commitment and interest shown by many people around the globe to promote Tamil computing in education, there has been a proliferation of Tamil software and I am proud to be one of the pioneers in contributing to the initial framework. Anjal keyboard - for easy typing. If you're looking to type quickly with the most advanced keyboard. Copyright © 2013 Nalinam.com. All rights reserved.